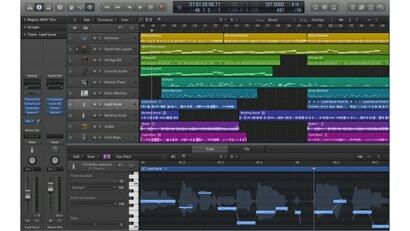 Apple just announced a new version of its top-end music production software. It's been four years since Apple updated its professional editing suite, so there's a long list of upgrades in Logic Pro X. The improvements range from an overhauled interface to an iPad controller app to a new automatic drummer feature to help fill in your song when you can't get a drummer into the studio. It's available now for $209.99.